Nattalam is a Village in Killiyoor Taluk in Kanniyakumari District of Tamil Nadu State, India. It is located 35 Kms towards west from District Head Quarters Nagercoil. 732 Km from State Capital Chennai. 43 Kms from Thiruvananthapuram (Trivandrum). 4 kms from the town of Marthandam, on the Marthandam-Colachel state highway. This Place is in the border of Kanniyakumari District and Thiruvananthapuram District. People of this village speak both Tamil and Malayalam. Culturally, the people of Nattalm is closely related to Kerala because this part of Tamilnadu was part of Travancore Kingdom until November 1st, 1956. People of Nattalam profess two major world religion ie... Christianity and Hinduism. The important places of worship in Nattalam is Martyr Devasahayam Pillai's Shrine. Apart from these, the village is dotted with numerous sacred groves (Kavu), churches and family temples. The products of these village are Coconut, Plantain, Tapioca, Paddy and of late Rubber. Two major community people residing in Nattalam for generations belong to Nadar community and Nair community. Nadar community people generally converse in Tamil mixed with Malayalm while Nair community people communicate in Malayalam mixed with Tamil. 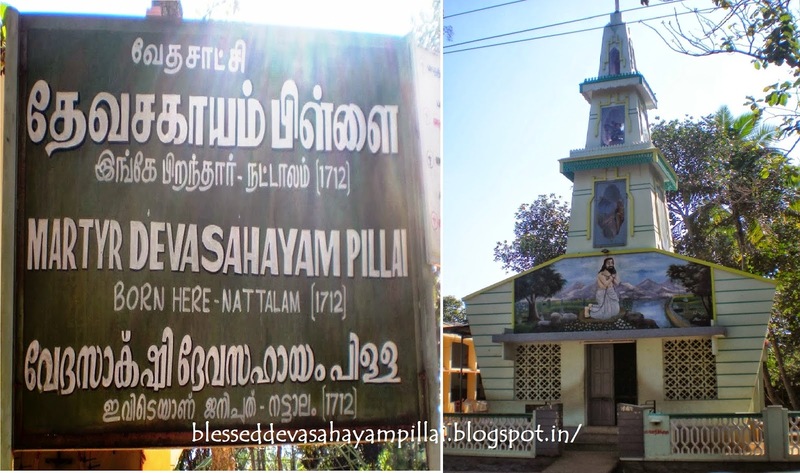 The Servant of God Devasahayam Pillai was born in the year 1712 in the hamlet called Nattalam of Vilavancode Taluk in the present district of Kanyakumari. His father was Vasudevan Namputhiri, a Brahmin, and his mother Devaki Amma of the Nair Caste. His name was Nilam, also expanded as Nilakandan, both being two forms of the same name of the Hindu God Siva. Because of the tradition of marumakkalthayam, which followed a matrilineal tradition of inheritance, the children were identified by the caste of the mother. Therefore, Nilam was also considered to be of the Nair caste, which was considered a high caste, next only to the topmost Brahmin caste. The Nair caste was a belligerent tribe and most of the soldiers of the king of Travancore came from that caste. 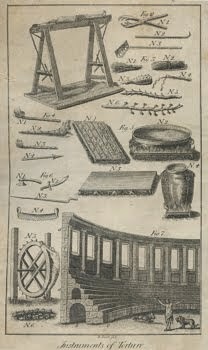 To this caste belonged almost all nobles and the king himself and the king’s family. When Nilam grew up in to an adult and had a position in the royal court of the king, people appended the appellation “Pillai” to his name. “Pillai was a suffix added to the names of those born in a high caste and who also rise to a high position in the society. That is how Nilam was also known as Nilam Pillai or Nilakandan Pillai. The family of Nilam was very much rooted in Hindu faith and his father was serving as priest in the Siva temple at Nattalam. The present Shrine at Nattalam, the Birth place of the Martyr where the devotees gather every Friday to celebrate the Eucharist. The House of Nellakandan Pillai. This is where Nellam was born. Today only of a portion wall of his house remains. 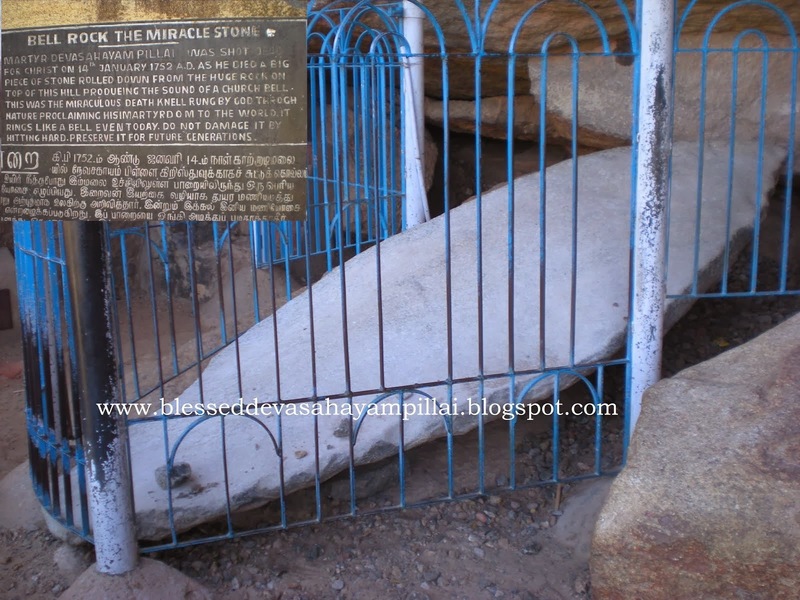 The Well used by Neelakanda Pillai's Family. Even today the well being used by the Local's living around for Drinking water.This well is situated nearby his house inside the very same compound. The Second Fig is said to be the spot where the Martyr Devasahayam worshipped with his Family deity before his conversion. Palliyadi Railway Station and Kulitthurai Railway Station are the very nearby Railway Stations to Nattalam. How ever Nagercoil Railway Station is the major railway station 35 Kms near to Nattalam.